Lock in a great price for Banchi – rated 9.1 by recent guests! Great location and very willing to help us out in any way. Amazing place! Ava was nice but make sure you get there before 7pm to check in. We got lost and she waited til 8pm to check us in. Place was the best hotel and super clean and comfortable. Best location and only 5 min walk from the train station. The property was clean and accommodating. 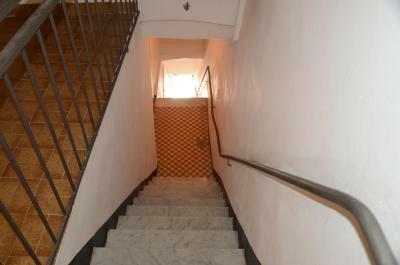 We had 3 flight of stairs to climb as that was where my room was. 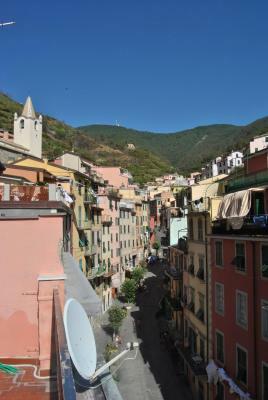 Riomaggiore was a beautiful place to stay. The location was amazing - right on the main street. Room was good size and clean. Walk from station, fairly easy to find on lower part of main street. Room was really clean and large bed was very comfortable. Staff very friendly and helpful. Location was excellent for touring the Cinque Terre, the property is just a short walk from the train station in the centre of the town. 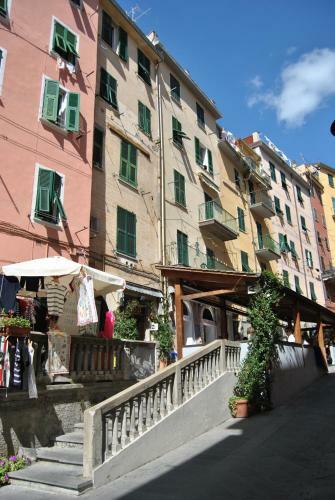 A great spot to stay in Riomaggiore, right at the heart of town. Everything was clean and comfortable and the hosts were friendly and helpful. Location. It was walking distance from train station. Many restaurants nearby. 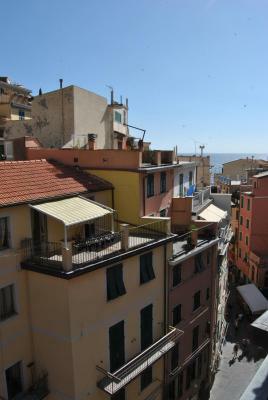 Set in the historical center of Riomaggiore, the Banchi offers a communal terrace and simple rooms with attached bathroom. 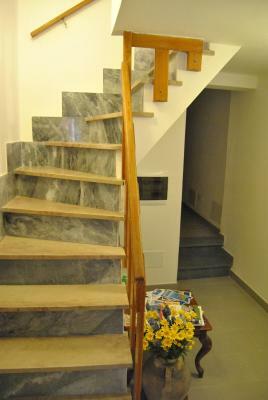 The property is well placed for the famous walking paths of the UNESCO-protected Cinque Terre National Park. Rooms at the Banchi all come with views over the town. They include an private bathroom with free toiletries and a hairdryer. 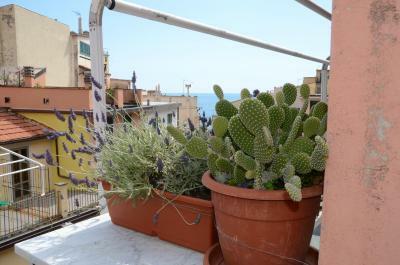 The property is a 5-minute walk from Riomaggore Train Station and the famous Via dell’Amore coastal path. La Spezia is a 10-minute train ride away. When would you like to stay at Banchi? This simply furnished room features an private bathroom. House Rules Banchi takes special requests – add in the next step! Please note that Riomaggiore is a restricted traffic area. Parking is available upon request and at a surcharge, a 10-minute walk from the hotel. Barbara was a very helpful and kind host. 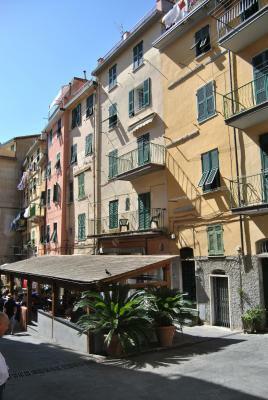 Property was in an excellent position right in the main street of Riomaggiore - and yet we were not bothered with noise. Our room - more like an apartment - was very spacious with a sitting area and a small kitchenette. Bathroom facilities were also excellent. Very comfortable bed. Wifi worked well. We would be happy to recommend Barbara's place to anyone wanting to stay in Riomaggiore. Everything was handy. Lots of clean towels. attention was good and the owner couldn't do enough for us, giving us lots of local information. Room was very quiet and there was a nice terrace above the main street to watch the world go by. Spring based bed was the worst. Sleeping intermittent. As sleeping is also an important part of a holiday, this could be improved with a modern bed and mattress. Cash only was a surprise. Booking.com could do well to have a note to this effect if applicable at a particular accommodation. There is a hard stairs in the hotel so be careful :) We didn't have much luggage so it was pretty ok for us. Also we had a little problem with closing the door to the bathroom. Nice location! About 7 minutes of walking from the train station. We had beautiful street view from the window. There are 2 cups, teapot, coffee and tea in the room - that was a lovely bonus! :) The owner of the hotel, Barbara is a great lady. We were a little bit late for out check in but she was waiting for us (you need to tell about your time of arrival beforehand). Also we accidentaly broke one of the keys to the door (we mistook them) but that wasn't a problem. Barbara said we didn't need to pay for this. Parking is not very close to the hotel (10-15 minutes walking), so moving luggage around in Riomaggiore can be a challenge, better travel lightly. Anyway, the owner kindly offered to help with the suitcases. The room was very nice and clean. Bathroom seemed quite new, and there was a kettle and coffee and tea. 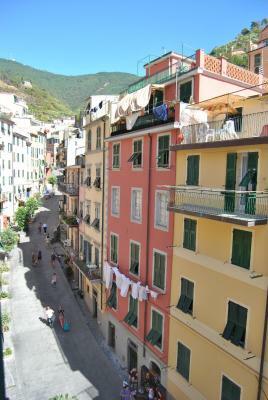 Perfect location in the centre of Riomaggiore (good windows, so not much noise). Both Barbara and his husband were very kind and helpful. We arrived earlier than the check-in time, but they met us to show us the parking and allowed us to leave our luggage in the hotel, and do the check-in later. Barbara also gave us a lot of information about what to do around. 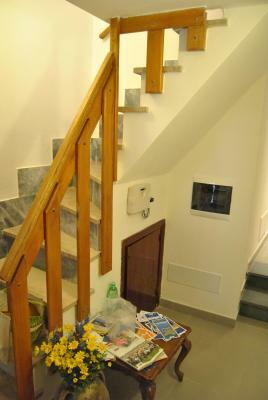 The stairs to reach the room were challenging, but all of Cinque Terre is! Everything was so confortable. I would go back surely to the Banchi. Great location. Good sized room. Loved having a kettle in our room with tea provided. 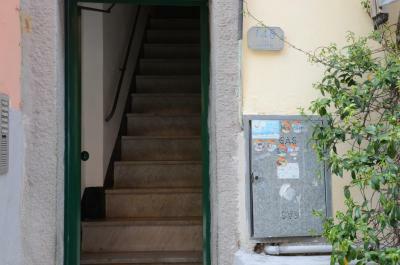 Lots of stairs, but that's typical for Cinque Terre . 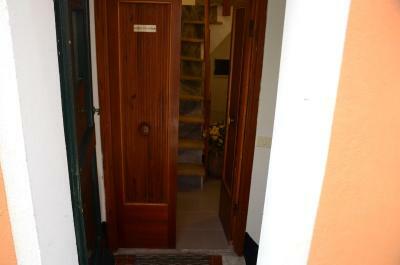 Location right in centre of town and near the train station. The common terrace has a view of street, hills and sea. Clean and modern room. A kettle, cups and everything for cooking coffee and tea is in the room. A smaller fridge for all guests is in common areas. Make sure to have cash to pay the bill. We just had enough. Great location in the middle of the Main Street - close to train station. Staff are lovely and helpful with questions and advice on local area. Would definitely stay here again! There was no hotel sign at the entrance nor any suggestion that the office was on the 4th floor. Room was good and quiet wth the location being excellent.